Can a home create an emotional connection with a family and serve as a guide to its own restoration and remodeling? 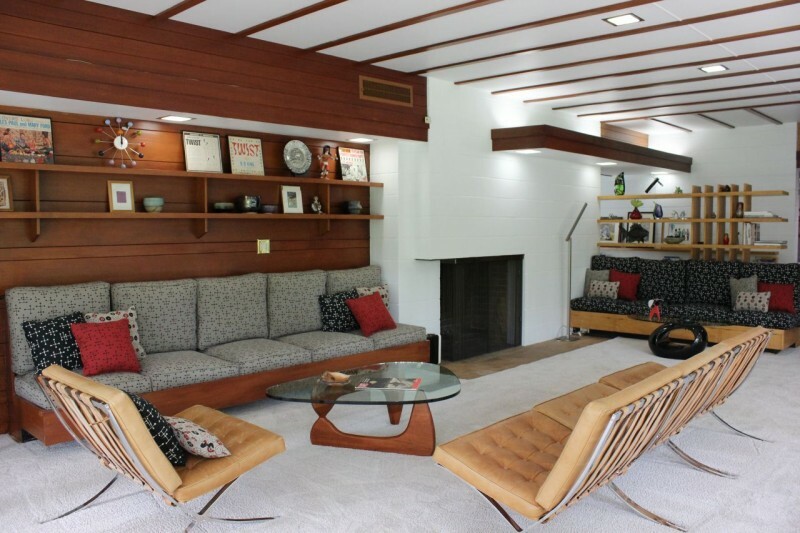 As unique as this sounds, it was the connection between Mid Century Modern architecture lovers, Lynne Valek and Dean Gordon, and their home in the Old Fig Garden neighborhood of Fresno, California, which helped create a functional and beautiful space that serves as the hub for their family! Lynne and Dean’s search for a new home centered on finding a location close to their grandkids, a neighborhood providing convenient access to shopping, and a floor plan that would allow them to age in place gracefully. 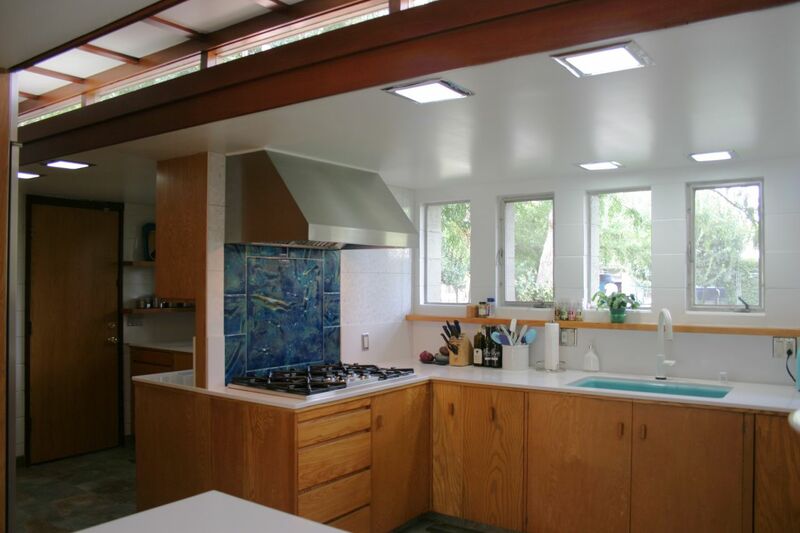 While this process involved touring many different homes in many different styles, it wasn’t until they entered a 1954 Frank Lloyd Wright-inspired Usonian home in the bucolic Old Fig Garden area of Fresno, that they knew that they found the right home for them. Seeing the home stirred Lynne and Dean, but what really cemented their desire to pursue the purchase was when they took their grandchildren on a tour of several home sites, and their two year-old granddaughter, Mari, stepped in this Old Fig Garden home, threw off her shoes and exclaimed, “This is my grandma’s house!” At that point, there was no turning back! 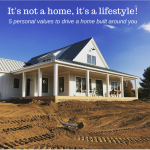 In part 1 (of this 5 part series), learn how this home’s progress was fueled with relentless dedication to maintain architectural integrity and a group of focused and passionate people (including a designer, a team of artisan craftsmen, and the owners – Lynne and Dean). Using a combination of renovation, renewal, restoration, and remodeling, the home now fits the lifestyle of its owners, while respecting its architectural roots. A bit of historical perspective. Usonian architecture grew out of Frank Lloyd Wright’s earlier Prairie style homes. Both styles feature low roofs and open living areas, and make abundant use of brick, wood, and other natural material. Wright’s Usonian homes were small, one-story structures set on concrete slabs. 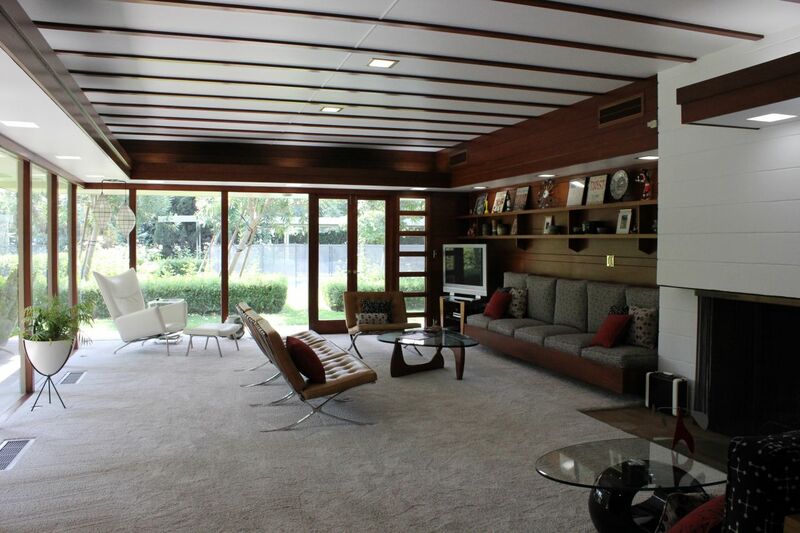 He often incorporated kitchens into the living areas, and built open carports that took the place of garages. Architect Morgan Shaw, of Berkley, California, who designed the Valek Gordon residence, undoubtedly was inspired by the Usonian style of architecture, utilizing clear heart redwood, (native to Central California), concrete block, and lots of floor to ceiling glass that integrates the house with the park-like setting of the expansive backyard. The path towards completion was not without a good share of ups and downs and mental gyrations to engineer solutions while respecting the home’s original design. Fortunately for Lynne and Dean, interior designer Valerie Leong and retired contractor/friend/realtor Gordon Knott provided invaluable assistance. The construction project combined careful restoration and thoughtful remodeling to enhance the beauty and improve function. 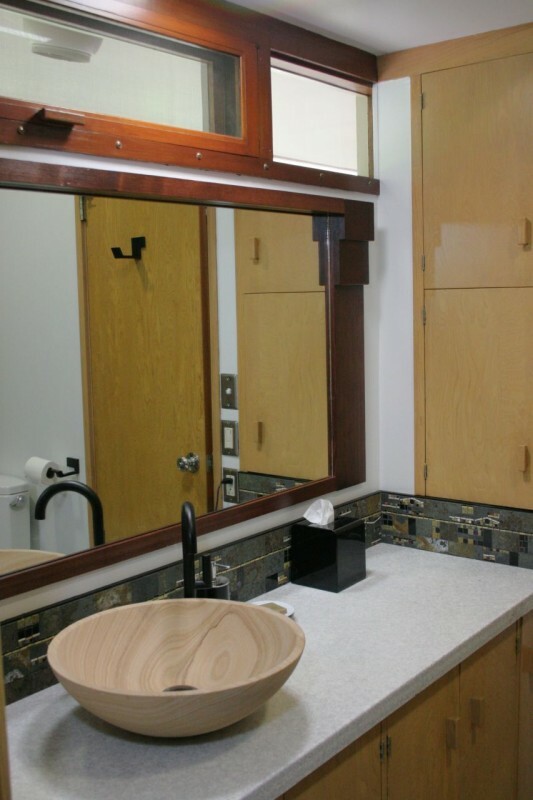 Usonian homes were designed with function and practicality in mind. 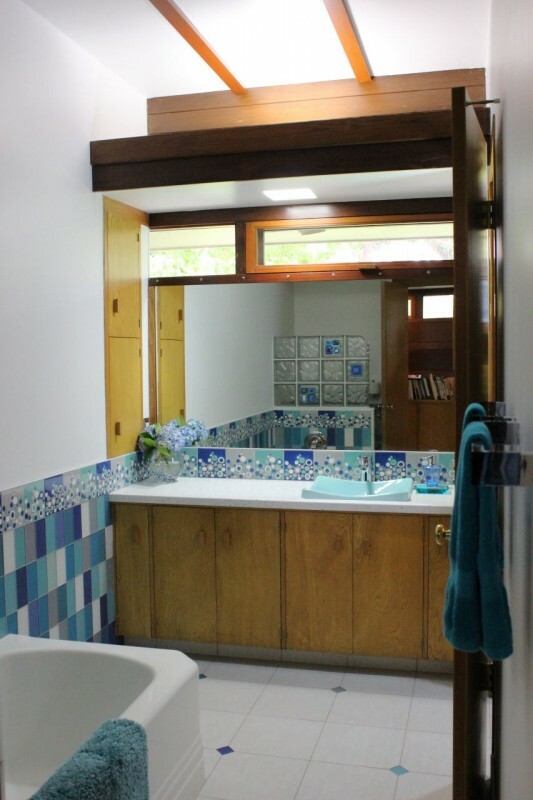 As Lynne said, “This home incorporated the principles of sustainable design before sustainable design was cool!” Native redwood, cinderblock walls, and the extensive use of built-ins are key elements in the design and were essential to embrace in this project. While this home has the benefits of using sustainable materials, a lack of proper maintenance made it necessary to do some restoration. They brought mechanical, electrical and plumbing systems up to today’s standards to increase safety and energy efficiency. Craftsmen carefully cleaned, repaired, and restored many electrical fixtures, repainted walls, installed additional lighting to brighten the space, and restored and repurposed much of the woodwork, while integrating modern appliances and fixtures into the design. 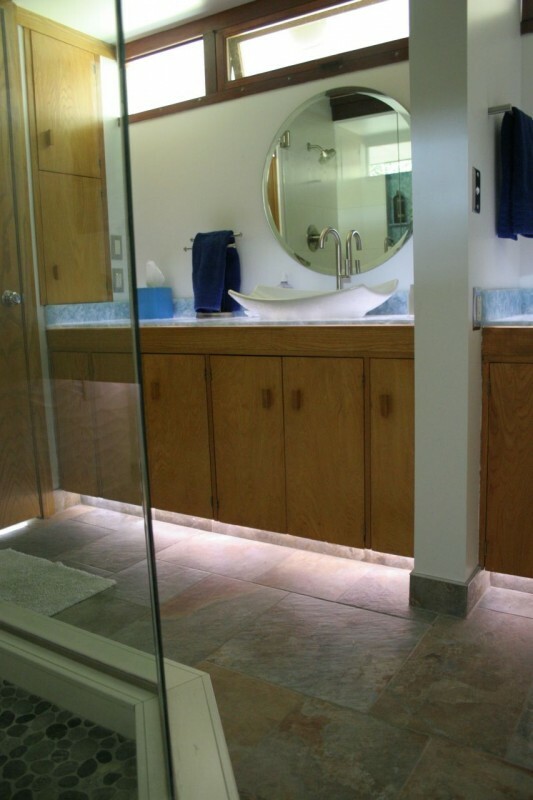 While their goal was to respect and embrace the original design, the three bathrooms and kitchen required structural changes and remodeling to make them enjoyable and functional for Lynne and Dean’s family. 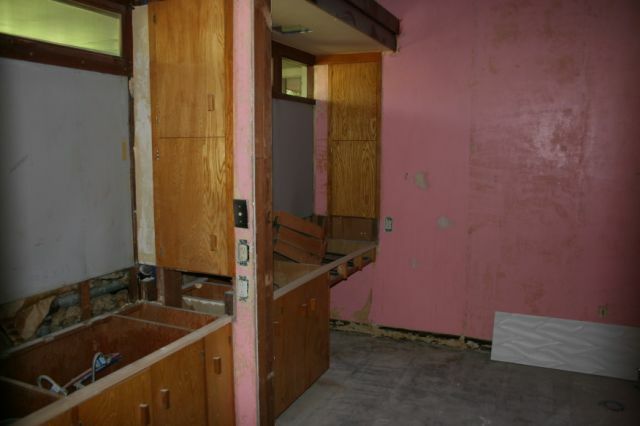 The master, guest, and grandkids’ bathrooms along with the kitchen were too dark, the spaces were chopped up, and they were aesthetically unpleasing. The images below show these newly remodeled rooms (Note: for more information about the transformation of each room, stay tuned for parts 2 through 5 of this series). What do you think of this project to reinvigorate, restore and remodel this Usonian Frank Lloyd Wright-inspired home? Do you have questions? Please comment or call the numbers below for more information. 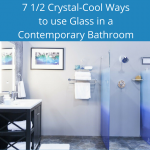 For interior design questions, contact Valerie Leong at 559-286-8089 or the construction manager for the Fresno, California home, Gordon Knott at 559-224-4112. For questions about kitchen or bath remodeling projects in Cleveland, Ohio area contact Cleveland Design and Remodeling at 216-658-1270.